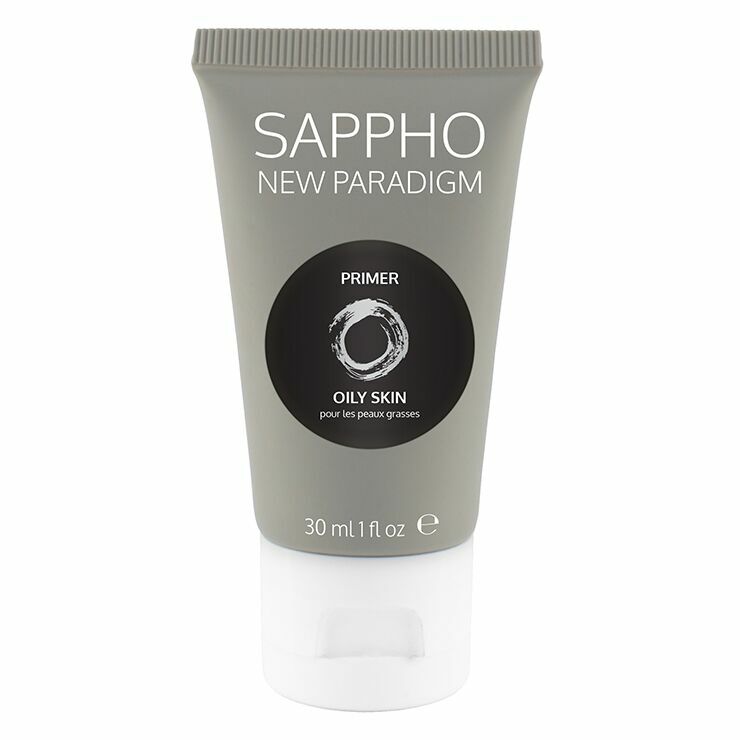 Something for all skin types, Sappho Primer creates the perfect canvas for makeup application. No shiny look or heavy, oily feel, this lightweight face primer is made with aloe vera to promote a balanced, even appearance, while offering light moisturization. Jojoba oil is an ideal match for both oily and dry skin, maintaining a look of health and clarity. Fruit extracts make skin look smooth and glowing, and mineral pigments offer a look of super natural skin tone for even application. Skin looks fresh and refined all day. Apply primer to clean skin after moisturizing and before makeup application. Smooth over face and neck in fluid strokes. Perfect for extending the look of foundation and keeping the complexion looking healthy and fresh. Aloe Barbadensis Leaf Juice*, Simmondsia Chinensis (Jojoba) Seed Oil*, Cocos Nucifera (Coconut) Oil*, Heptyl Undecylenate, Polyglyceryl-2 Stearate, Glyceryl Stearate, Sorbitan Olivate, Stearyl Alcohol, Pyrus Malus (Apple) Juice*, Ethylhexylglycerin ,Ananas Sativus (Pineapple) Fruit Juice*, Phenethyl Alcohol, Punica Granatum (Pomegranate) Fruit Juice*, Xantham Gum ,Tocopherol, Citrus Bergamia (Bergamot) Fruit Oil*, Jojoba Esters, Anthemis Nobilis (Chamomile) Flower Oil*. May Contain: Zinc Oxide, Titanium Dioxide, Yellow Iron Oxide Ci77491, Red Iron Oxide Ci77499,Black Iron Oxide Ci77492.